We help busy people with older family members living at home alone, who want to know for certain that they are ok. So you can get on with life, knowing your aging parent is getting an automated welfare check by phone every day. Because checking in on your family should be EASY…. not a burden. And the best part is that with CareCallingNow YOU get peace of mind… no news is good news! In Truth Xpose TV (Episode 27), Aldwyn Altuney interviews Carecallingnow co-founder Irene Manson about the truth about people dying at home alone and unnoticed. 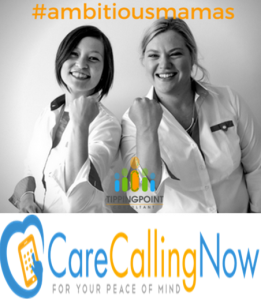 CareCallingNow does daily care calls to elderly people across Australia to check in on them when other family is absent. The new service being launched on the Gold Coast on April 12, 2017, will help stop elderly people dying alone during holiday festive times, such as Easter and Mother’s Day. Did you know that 4% of all hospital admissions, in 65+ age group, are fall related and that fall deaths are now more prevalent than traffic deaths in this group? “We believe that CareCallingNow will provide peace of mind knowing that if there is a fall or medical event that someone will know,” said Mrs Manson, who co-founded the service with her husband Ian. “In talking to other people whose elderly loved one has died at home alone, after a fall or accident, 4 days is not uncommon for them to wait,” she said. Truth Xpose TV is an online TV show which exposes the truth about what is really going on in the world. We have been fed lies by government and health authorities worldwide, as well as major traditional media conglomerates all keen to push their own agendas, for long enough! As a result, many people have lost their sense of selves and we need to get back on track! Show host Aldwyn Altuney (aka ‘Media Queen’) interviews people in the know about what is really going on in the world and who have the courage to speak up about it. Aldwyn is based on the Gold Coast, Australia, and has about 30 years media experience in TV, radio, print and film. The Photojournalist, director of AA Xpose Media and founder of Animal Action Events is passionate about helping people live inspired lives by promoting positive stories in the mass media.